Fumito Ueda's new game teased? Hmmm... i'm still gonna play TLG on my reg PS4, i managed to beat SotC on the OG PS2 and wasn't that bothered. I think i should be able to beat TLG on my PS4 as well, if not i may need to upgrade to the Pro. Did you play SotC on the PS2?, did you manage to beat it?, is TLG's performance on the OG PS4 comparable to SotC running on PS2?, worse? Its not comparable at all. People just have higher standards today, especially since the game took so long to release. It also looks deceptively simple graphically towards the beginning with some really jaw dropping moments later on. 15-25 FPS sounds on par with the PS2 version of SotC. It looked incredible, with graphics tech found in few other PS2 games (high quality motion blur, HDR, fur) but the framerate was garbage. Whatever this is, I'm in. I just hope the reveal of it isn't that far off. excited to play this in 2025.
ahh too obvious of a joke i see, lol. truthfully though i think his next game will be less ambitious and will arrive in a reasonable timeframe. 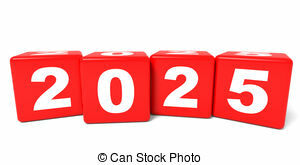 i will guess late 2019 or early 2020. Maybe his take on a 'King Kong'? I will play anything this man has a hand on. ICO captured my heart on that demo disc in the PS2 era, ran to pick up my copy when it launched, and have been fond of his games/story telling narrative ever since. That looks rather similar to his previous work. They did, once. I wouldn't be surprised if he's got some other publisher now and is going multiplatform. He is independent now, after all. I'm not saying it's not possible but what other publisher in these days of deadlines, loot boxes, incomplete games would green light and fund a game by him. Although his games are considered great and have their distinct style that is endearing to many, the man takes a long long time to produce and the games don't exactly light the sales charts on fire. Whatever it is, i'm there. Nope, I'm not following his next game this time. I'm wait for the first gameplay unveiling. At least the good news is that he won't be limited by technology this time. Shadow of the Lootbox. Climb giant lootboxes and look for the weak spots that require you to pay real life money to damage when you do. The art looks oddly tacky and stock-photo-y and the figures in the logo just look off - like they were done by someone with no art background. Real weird coming from Ueda. I don't think he'll ever not be limited. When ICO couldn't run on the PS1 they moved it to PS2. SoTC should have been on the PS3 but that didn't exist at the time so look what happened to the fps. Then we all know what happened with TLG. Ueda's imagination is always one step ahead. I think the technology is good enough nowadays to be faithful to his vision. If he's going back to the Shadow of the Colossus-esque open world, then it would be really interesting to see how he does it, and what is his new take on the universe he created. As some other users said, Ueda's King Kong would be more than awesome. A fusion of his 3 games into one? Game looks to be inspired by King Kong. That would be ultra dope. Just wanted to know if The Last Guardian made any profit? or is considered as a success in any category? All I want from E3 this year is a reveal of what they're working on. Everything else is whatever to me. Oh man. I'm feeling an E3 announcement. Is that Mono? Sequel to SOTC? Dormin came to life as a large ape? that is the most ueda thing ever. excited to see how this one turns out. Most likely, another game that is unrelated to previous ones. It's obviously fake - it says 2018, but we know it's more like 2028. I mean I'm intrigued but also cautious. More interesting still is another game being teased/promised for 2018......is there any game announced that is explicitly 2019? Even TLOU2/DS for example? Is there any specific reason to believe this is NOT just additional promotion for the upcoming SoTC remake? Wow, if we're really getting another Fumito Ueda game this year. Could that be why the SotC remake came out this year? We get to play as the girl this time? She looks like a mix of Yorda and Mono. Am I wrong in thinking that it was just a New Year's card and not an announcement for a game this year. Whatever they are doing, I'm definitely interested though. Hope it comes out before PS5. Man, can't wait for Sony's e3 conference. I am beyomd hyped for this game and console exclusive DMC5 showing up there. They intend to release something this year?! I thought we were lucky just to have it announced in 2018. That image is very evocative of Mono lying on the altar, but I don't think whatever they've working on has any relation to SotC. Edit - Oh wait, it's a New Years card, hence the year given. My bad. It's not coming out in 2018 then lol. Having suffered through The Last Guardian, I'm only cautiously excited by this. Neither Ueda or genDESIGN is working on it. Can't see why Sony would advertise it on their website. Sounds like a weak reasoning to me. It's still the remake of a game that defined his career and it's coming from a studio part of the same parent company. It would be weird if he didn't recognize/endorse it in any way. Getting an ico / sotc / tlg vibe from an Ueda teaser?